Welcome to jamesdean.photography. I am an orthopedic surgeon by vocation and photographer by avocation, although the two interests are often intertwined. 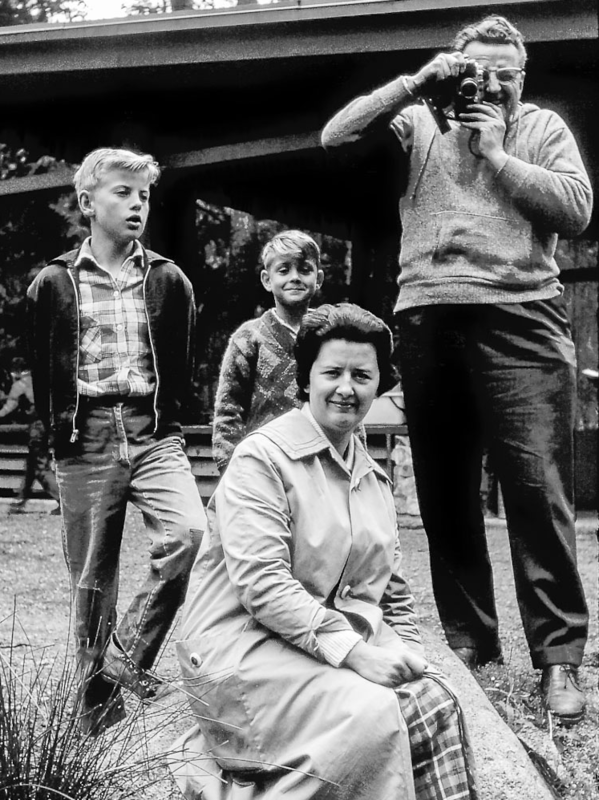 My initial exposure to photography was through my father. That's me on the far left waiting impatiently for dad to finish taking the third or fourth shot of the same thing. It wasn't until years later, when culling through thousands of his slides, that I realized that neither his composition or exposure ever varied...the duplicates were simply taken "just in case the others didn't turn out." In 1995, I was privileged to take a workshop with Galen Rowell prior to my first medical volunteer trip to Nepal. My original intent in attending was to refine my skills to a level where I could produce fundraising slideshows for overseas projects. Both the course and trip reignited within me a zeal for taking photographs, particularly portraits and landscapes. Since then, I have tried to be more diligent to carry my camera with me wherever I go. The process of capturing images has prodded me to view the world differently, as I often find myself analyzing the light while visualizing a photo in my mind. I continue to volunteer overseas and have an affection for beautiful scenics, unique peoples and documentary storytelling. The result of these loves is the body of work you view on this website. I hope you enjoy the galleries and return periodically to view updates as I pursue my passion for photography. I can be reached at jamesdeanphoto@gmail.com and welcome your comments.